If you’re experiencing heel or arch pain, especially when you walk, you may be suffering from plantar fasciitis, the most common cause of heel pain. Joe Griffin, DPM, CWSP, FAPWCA, is a highly-trained podiatrist and wound care specialist who treats plantar fasciitis with a range of traditional and innovative procedures. At Coastal Foot Center in Daphne, Alabama, Dr. Griffin provides foot care services that reduce your pain and stop it from returning. To learn more about how plantar fasciitis is treated call the office or schedule your appointment online today. Plantar fasciitis is the result of inflammation of the plantar fascia, the connective tissue that reaches from your toes, through the arch of your foot, and into the heel bone. When this tissue becomes inflamed, it causes pain in the heel and arch. The pain often becomes severe with extended periods of standing or walking. In many cases, it’s worse in the morning but may become less painful throughout the day. The most common cause of plantar fasciitis is overpronation, which happens when your foot rolls inward when you walk. That makes the foot flatten, lengthening your arch and putting extra tension on the plantar fascia. When this occurs over and over again, it becomes inflamed. What treatments are there for plantar fasciitis? In some cases, Dr. Griffin may recommend wearing an orthotic device or partaking in physical therapy. 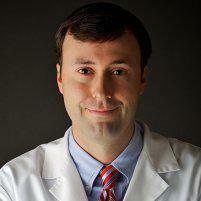 Where the plantar fasciitis is persistent, he may suggest custom orthotics, ultrasound-guided injections, or surgery. How do ultrasound guided injections help with plantar fasciitis? If at home remedies and exercises don’t reduce your plantar fasciitis pain, Dr. Griffin may suggest ultrasound-guided corticosteroid injections. He uses innovative technology, an ultrasound device which ensures the proper placement of injections that work to reduce inflammation quickly and effectively. These treatments reduce the pain associated with the swelling of your plantar fascia, and results may last up to three months. If you have chronic pain in your heel or arch when you walk or stand, don’t suffer in silence. Contact Coastal Foot Center today to work with an expert in foot care. Call the office to schedule your appointment with Dr. Griffin or book it easily online.